If you’re feeling completely overwhelmed when it comes to Christmas decorations for your conservatory, then don’t worry. We’ve put together a great list of what to buy, how to buy and where to buy it to get you started. If you are thinking of a Christmas tree for your Conservatory but don’t want the associated hassle of a real pine one, then consider the options available from John Lewis. Whether you are looking for a traditional fir tree or something a little more contemporary such as a Paper Jewel Tree which offers a great alternative, John Lewis has the answers to all of your requirements. A Christmas tree makes an ideal addition to your conservatory offering a warm cosy feel over the festive period. With a traditional type fir tree why not consider a variety of decorations to work in with the current theme you have in the conservatory, or choose a complementary colour to your tree such as reds which always look classy and festive at this time of the year. 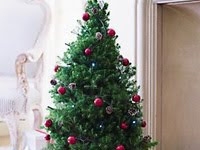 Marks and Spencer offers a fantastic value set of fifty shatterproof red tree decorations in various shapes and sizes offering a gorgeous coordinating style for a stunning tree this Christmas. However if you are looking for something a little unique how about a set of the Little London 2012 Miniature sets by Bonbki from Notonthehighstreet.com? These decorations will certainly put the smile on anyone’s face and help to get you in the mood for next years London Olympics. Pretty floral lighting in white from Graham and Green are a lovely way to light up your conservatory this Christmas thanks to the Blossom Tree Light, and would look stunning in any setting. Alternatively if you’re looking to add a little more colour the 35 illuminated cotton balls string light, also available from Graham and Green can be used in all seasons - whether it's for adding carnival vibrancy to your summer, or refined glamour to your festivities at Christmas. With a tree with lights on, and a warm conservatory setting what better way than to snuggle down than with candles. DotComGiftShop offers a fantastic range of candles and candle holders ranging from the exotic such as a White Moroccan Metal Lantern through to more seasonal Santa T Light sets available in a set of six, perfect for Christmas scenes. The range of Christmas candles and holders is ideal, offering a fantastic choice whatever your budget is. If you have occasional furniture in your conservatory you may wish to look at garlands and wreaths to add a little vibrance and warmth over the festive period. 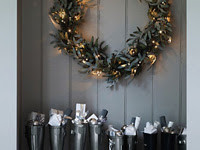 The Frosted Leaf Garland from the White Company, looks Fantastic draped over a chest of drawers or sideboard or around a mirror. 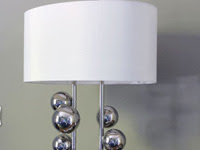 You an use as is, or add baubles and lights to give it that little extra.